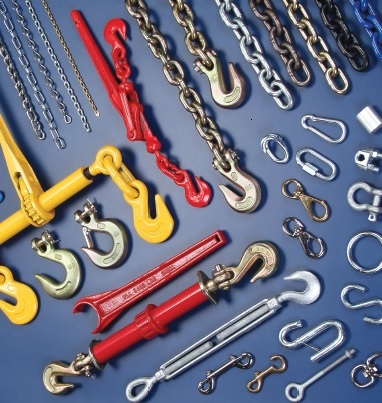 Chain Accesories | Cal Fasteners, Inc. Along with the different kinds of chain are accessories used with and without the chain. We stock Eye Bolts, S-Hooks, pulleys, turnbuckles and many other related items. These come in many materials like steel (several grades depending on application), stainless (304 and 316), brass, nylon and even plastic.